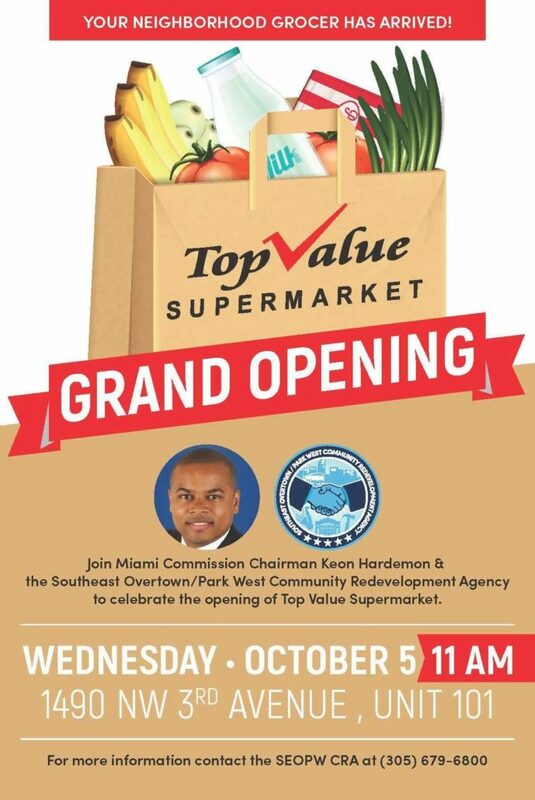 Miami Commission Chairman Keon Hardemon & The Southeast Overtown / Park West Community Redevelopment Agency (“ SEOPW CRA”) proudly announces the grand opening of Top Value Supermarket, Overtown’s first major grocery store. Community leaders, local residents, and business owners are invited to join the celebration and ribbon cutting ceremony on Wednesday, October 5, 2016 at 11:00am at 1490 NW 3rdAvenue, Unit 101 Miami, Florida 33136. The opening of Top Value Supermarket is a significant milestone. No large grocery store is currently located in Overtown and there hasn’t been one servicing the community locally for years, earning Overtown the reputation of being a “food desert.” Top Value Supermarket has changed all of that. Now, its residents will have greater access to fresh produce, quality meats, alternate food options, and health and beauty items. 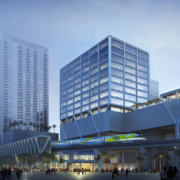 To attract a grocery store into the area, the CRA invested $2.2 million to renovate the interior and exterior of the Overtown Plaza. VSMD Food Corp is leasing the space where Top Value Supermarket is located. The company received a total of $ 600,000 ($200,000 grant and a $400,000 loan) in funding from the CRA to assist with construction cost for the build out of the 17,158 square foot store. To learn more about the Southeast/Overtown Park West Community Redevelopment Agency (“CRA”) and its initiatives, please visitwww.miamicra.com/seopwcra or call 305.679.6800.